The episode featuring the Rangoon trio will be aired a week prior to the release of Vishal Bharadwaj film. Shahid Kapoor earlier came on the celebrity chat show, Koffee with Karan with wife Mira Rajput. It looks like the wish of Shahid Kapoor’s fans of seeing him yet again on the couch of celebrity chat show, Koffee With Karan, has come true. 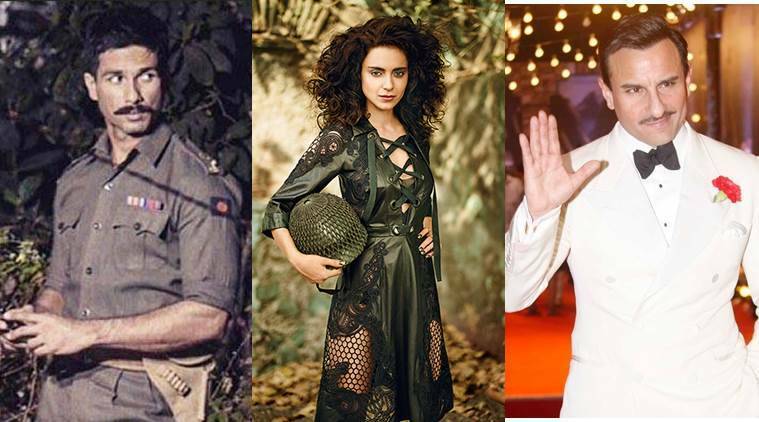 We hear that Shahid will be joining Saif Ali Khan and Kangana Ranaut on filmmaker Karan Johar’s chat show to promote his upcoming release, Rangoon. Earlier, Alia Bhatt-Shah Rukh Khan and Aamir Khan along with his Dangal girls too promoted their films on the show. Alia Bhatt didn’t mind getting grilled by Karan Johar for the second time as she shot another episode with Varun Dhawan to promote her next, Badrinath Ki Dulhania. Ignoring their past connection — Shahid once dated Kareena who is now married to Saif — Shahid Kapoor and Saif Ali Khan have always shared a healthy equation and have embraced new friendship. But when you have Karan Johar brewing the Koffee of his witty questions on the other side of the couch, there is no way that you can walk out clean without spilling the beans. The episode featuring the Rangoon trio will be aired a week prior to the release of Vishal Bharadwaj film. Rangoon is scheduled to release on February 24.